2 bed apartment located in new development in Alcaidesa (discounted by up to 29%). Two and three bedroom apartments now discounted by up to 29%. 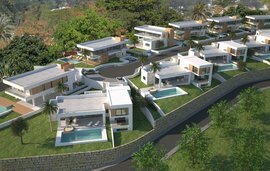 This new development located in Alcaidesa is next to two golf courses and is located between San Roque and La Linea de La Concepcion, just a few minutes from Sotogrande. Alcaidesa is the home to several residential developments with luxury houses and apartments. Alcaidesa has beautiful, well-kept beaches as well as having good security and a variety of restaurants. 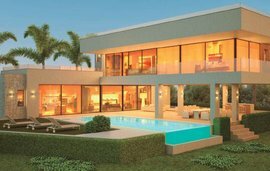 This development has the key features of spaciousness and brightness and has wonderful views of the Mediterranean Sea, the coast of Africa and Gibraltar. This residential complex is located in an enclosed area and has all the necessary facilities and services, entrance control, lovely gardens, swimming pools, solarium and Jacuzzi. There are 2 and 3 bedroom apartments available as well as penthouses. The interiors of the houses have excellent specifications and fittings as well as large terraces. Other features include equipped kitchen, living dining area and two bathrooms, home automation, video intercom, alarm system, hydromassage bath in the main bathroom and hydro massage shower in the second bathroom, double glazing, It is also possible to acquire the property with furniture. PLEASE GIVE US A CALL AND FIND OUT THE CURRENT AVAILABILITY.